mr. nice guy: christ almighty. why do you even bother reading this worthless site anyway? christ almighty. why do you even bother reading this worthless site anyway? readers, you are dear to my heart. but i have been much, much too busy drinking working hard in the absence of my vacationing conscience family to blog. and, really, what is there to report? no adorable baby stories, that's for sure. i did eat with a friend at peter luger last night. why? BECAUSE I COULD. mmm, overpriced porterhouse. then i stayed out till 3:30. wasn't i supposed to be catching up on my sleep? what's wrong with me? so. no babynews here. i am sure my child is doing impossibly cute things and there are many humorous adventures, misunderstandings, snafus and hijinks happening with the extended vacationing family. but you won't hear about any of it from me! i got nothin'. instead, here's a little housecleaning, a baby-themed link dump. enjoy! first thing's first, somewhere in kentucky this week a FOURTEEN pound baby girl was born. 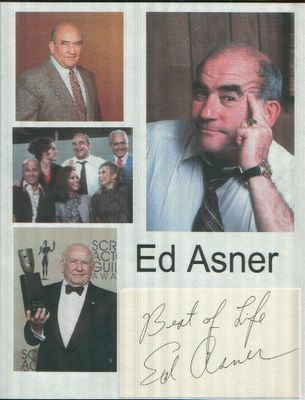 seeing as how funny looking newborns are anyway, it's little wonder that they decided to name her "ed asner." the resemblance, i hear, is simply uncanny. i understand she has a lovely personality. strong bones. given the prodigiously prolific pooping output of my own puny daughter -- six pounds, 11 ounces at birth -- i can only say this. kentucky mom, you're going to want to learn how to make these. 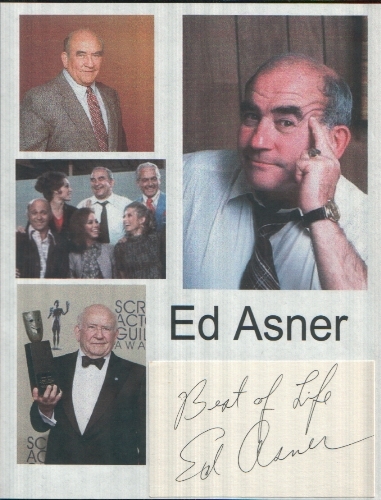 young ed asner will thank you for it. at least kentucky mom can take solace in the fact that her daughter is not an animal-human hybrid ... OR IS SHE? scientists are dabbling in the unspeakable. they now dare to tread the terrain formerly reserved for God himself. they speak the language of love that dare not speak its own language: man. animal. hybrids. chimeras. manimals. sweet. is baby ed asner one of them? like a mouse, he is quiet and swift, passing unobserved through your home as you slumber. also, he likes cheese. like the dolphin, he is smarter than most humans, has his own secret language and is occasionally found in cans of tuna. but mostly he is like the rabbit, that lusty mammalian procreator par excellence, heralded far and wide for the rich bounty harvested from his widely spread seed. so, baby ed asner, wellcome, all 14 monstrous pounds of you, to the world. maybe you are a hybrid. that's ok. we love you anyway. unless, wait a second ... unless her dad was this guy. gracious me. the horror! because it makes the day go along, darling. thank you for making the effort, even though for this one you were clearly, clearly digging deep. damn! i thought this turned out pretty good. my next entry, THAT's when i start diggin. all i have to say is THANK GOD the mother of the fourteen pound baby got a c-section. i don't even want to think about the mechanics of a natural birth for that one. yikes. hello mr.nice guy. just finished reading your archives and am proud to annouonce myself as a regular reader of your blog. you rock! This did turn out pretty good. No digging, no digging. And my super-nerdy husband did the math on the homemade baby wipes and found them to cost just as much, or more, than the store-bought ones. Personally, I was always too freaking tired to make homemade baby wipes. Who makes homemade wipes? If you do, you are very industrious. isn't it true that giving birth to babies that big is a sign of diabetes? at any rate, it's not good for anyone involved. wow.... now I want to make my own diaper wipes! Due to sanctions imposed by Mrs. Denotsko...I cannot comment on todays post.